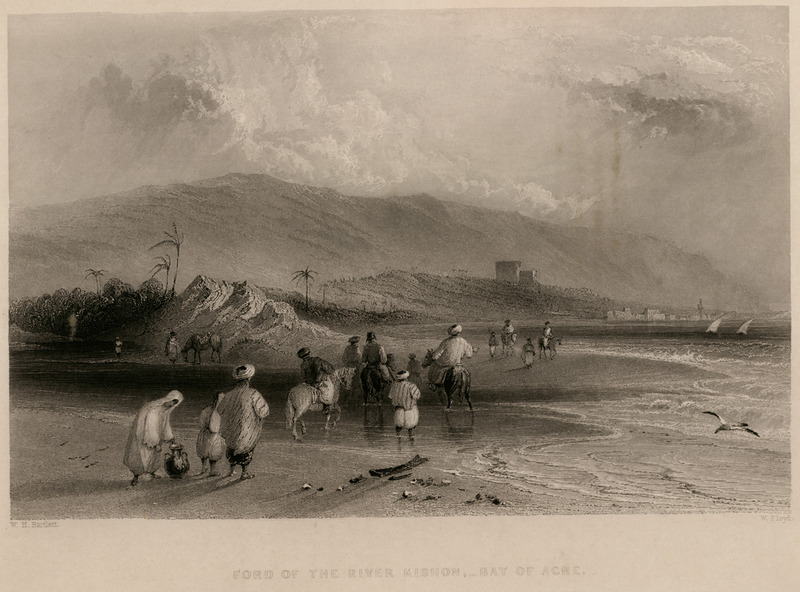 The Ford of Kishon river on the bay of Acre. Ford of the River Kishon, bay of Acre. CARNE, John. Syria, The Holy Land, Asia Minor, &c. Illustrated. In a series of views, drawn from nature by W.H. Bartlett, William Purser, &c. First [... Second... Third], London, Fisher, Son & Co., 1836-1838. CARNE, John. Syria, The Holy Land, Asia Minor, &c. Illustrated. In a series of views, drawn from nature by W.H. Bartlett, William Purser, &c., vol. 3, London, Fisher, Son & Co., 1836-1838.